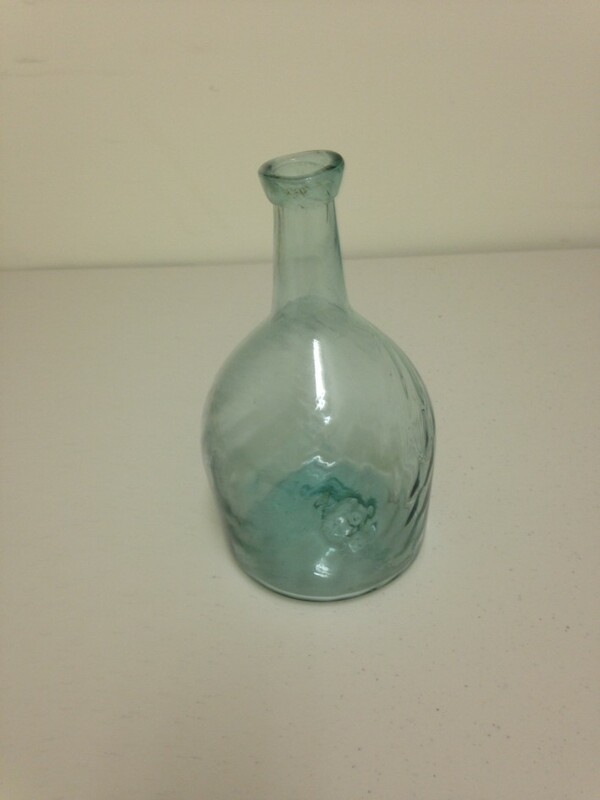 Midwestern 24 swirled rib Beehive bottle in a light blue aqua color. Unusual lip treatment with outward flared applied lip. Offset tubular pontil. 8″ tall. Fine condition with some light haze on interior.